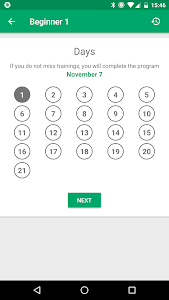 This application is ideal for those ?? ?? who want to feel the body tonus and be in good shape.Trainings consist of 20 different abs exercises, which can be done at home without taking much time and help you build six pack abs .
? 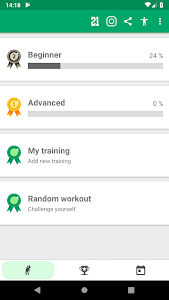 ?Beginner - for people who are new to physical activities.
? ?Advanced - for experienced ready to tests themselves. 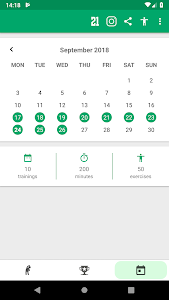 Formation of good habit takes 21 days, that is why each program of training is effective for three weeks in order to make physical activity an integral part of your life and help you have the desired shape.For maximum effect, we strongly recommend to keep to the program by the elaborated schedule and stick to a good diet?. - 20 abs exercises for Abs Workout. Download to experience the best abs workout app to get flat tummy in minutes! 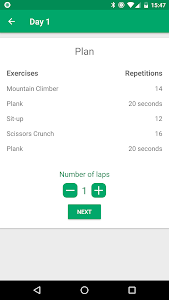 Similar to "Abs workout - 21 Day Fitness Challenge"